What is pictured on my Facebook wall? Or Instagram feed? Or blog? These locations often present the highlight reels of my life. The best and most fun moments. I love my hashtag: #DoctoralStudentPlayTime and I’ve used it liberally! In the midst of a very full season in life, I’ve sought to make room for play time. And for that I have been thankful. I believe adding playtime to my already bursting schedule has kept me more sane! However, this hashtag alone does not define the last three years. There have been many down moments. Many listless nights. Many fears about the future. Here’s a small summary of what is not pictured. 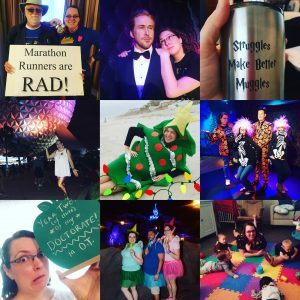 The behind the scenes, gag reel, and goofs of my life instead of the highlight reel. The pile of tissues I used while fighting a monster of a cold, lying awake at night and calculating the exact time I can take another cough suppressant just to try to get to sleep. The three foot high pile of research papers all binder clipped together that now constitute a side table at my desk. I’ve read every one, highlighted what I thought helpful. And piled them up in hopes that I’d be able to find the right one when I needed it to complete my paper. The dusty corners and hairballs that blow like tumbleweeds in need continual wrangling. Yet, because of the ever-present paper deadline, these tumbleweeds are allowed to roam freely, quietly mocking my once clean room. Digestive Distress. And its after effects. Enough said. Self medicating with chocolate and chips when life was demanding. I’ve had more candy in the past year than I can count. I went trick or treating at Mickey’s Not So Scary Halloween Party… and ate all of it. Sleepless nights. Anxiety. And time spent wondering what my future holds. How I will survive this degree. And how I will fill my time after graduation. Or wondering if the money, time, and effort will all be worth it. This is just a small sampling of the real life that seemingly has no outlet. No one wants to see or “like” a picture of my pile of used tissues. Gross! And yet, what we don’t picture is just as real as what we do. I long to be honest about my life and to give a balanced picture. Yes, I have lots of playtime. I got to the theater and Disney and on vacation. And I sit at home. A lot. And type pages and pages on my computer. And lie awake at night unable to sleep. And have lots of questions that just don’t have answers yet. I refuse to only show my highlight reel online. These scenes might be on the cutting room floor, but they happened. They shaped me. The influenced my future performance. 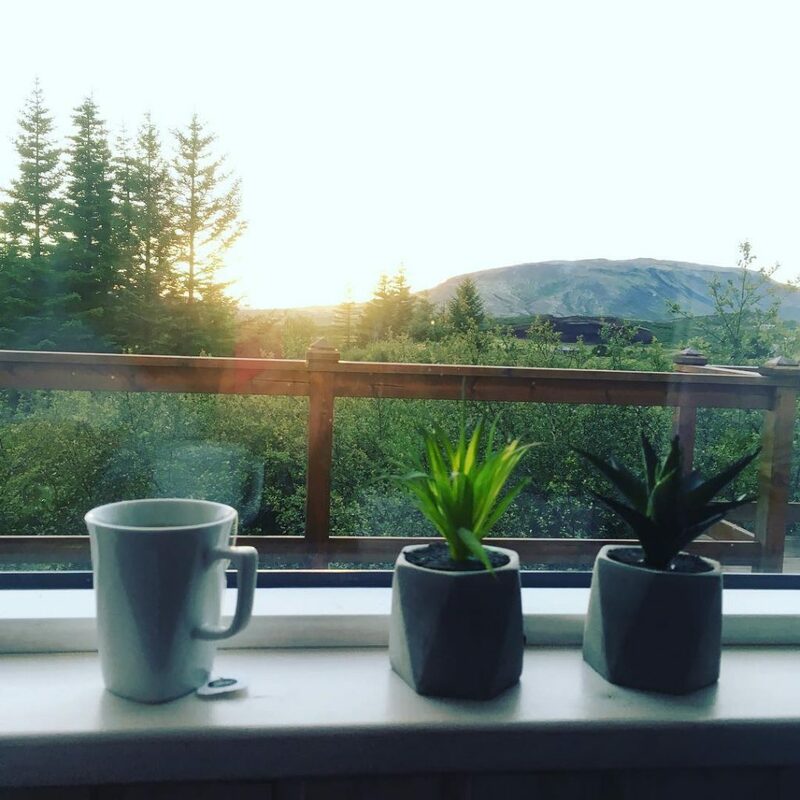 My *Not Pictured vignettes are just as important and a part of my life as what is pictured. And I’m choosing to be brave to share the less-than-instagrammable-moments. Those words are perhaps among the best to describe my life. It is full. Amazingly full. I have taken my well-honed Tetris skills and applied to them to all areas of life. My walls are decorated with a number of words, images, and items that hold incredible nostalgia in my heart. My family often just reads my walls for a time when they come visit! Likewise, my room is packed. Every nook has a shelf, a bin, a basket, or a drawer to hold more items. 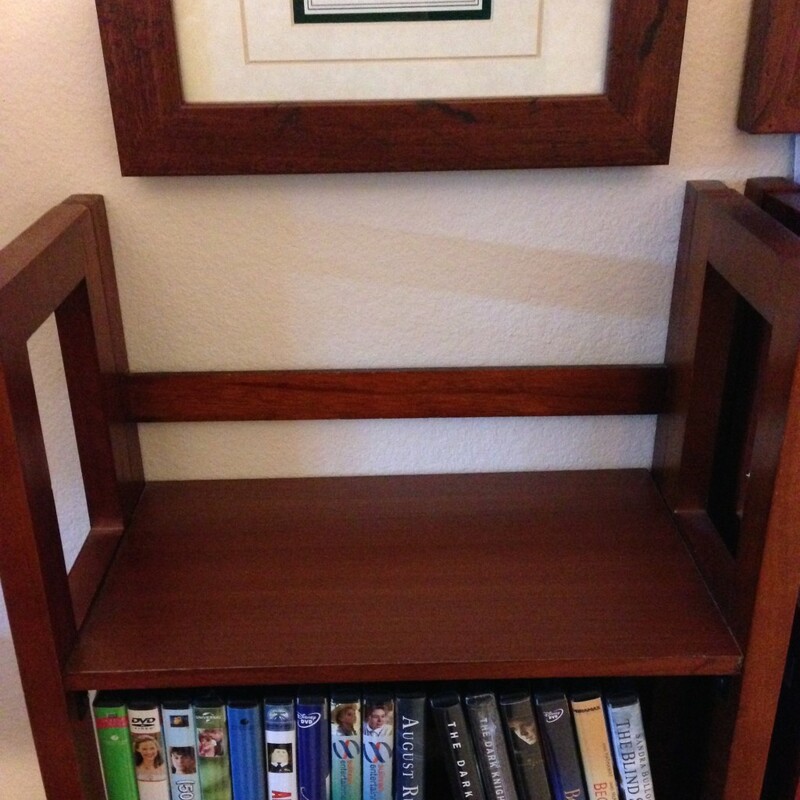 It is full, there is no space for another book or pillow or pair of super fun sneakers. It is full, but not messy. There are no piles of junk! It is organized. Everything has a home. I know exactly where everything is. It is full, but organized. My thoughts are just as full. I am constantly thinking, wondering, pondering, analyzing, solving, and committing to memory. My planner and journal catch the overflow of my thoughts like Dumbledore’s Pensive. I have to concentrate on turning off my brain, going to sleep, and staying in the moment. I am a maximizer at heart. Maximizing has many benefits. I get more done than the average person. I can keep plates spinning between work, school, exercise, life, and church even in a Cat Five hurricane. The number of people who have said, “I don’t know how you do it” to me is shocking. There is great positive reinforcement to maximize. However, Full, But Organized also has significant drawbacks. I have no room for spontaneity. I have no space for the unexpected. I have no wiggle. Every block of time or space in the Tetris game of my life is touching another surface, wedged in, unable to move. I long for an empty shelf, physically, mentally, and spiritually. Full, but Organized is also restricting. I miss things that come up last minute. I am often unavailable to others in need because my Tetris blocks in life have no wiggle room, no give. Maximizing can make me selfish. If I only focus on my goals, my tasks, my time, my energy, what do I have to offer others? I long to give my life more margins. More give. More white space. More room. More stillness. More rest. More Sabbath. In this instance, perhaps the old adage is really true, less is in fact more. I am a word addict. I spend an immense amount of time thinking about words. I choose a word or phrase each new year to tie my hopes to. I spend a large amount of time around New Year’s reflecting on the previous year and set hopes and goals for the future. Grit and grace defined 2018. They became my mantra. There were a myriad of situations that required me to demonstrate both grit and grace. They were well chosen words. And they remain on my wall as a reminder of the goodness, the striving, and the struggles that are always a part of the story! But I still couldn’t decide. There were just so many good options. So I decided to break the rules… and choose two. 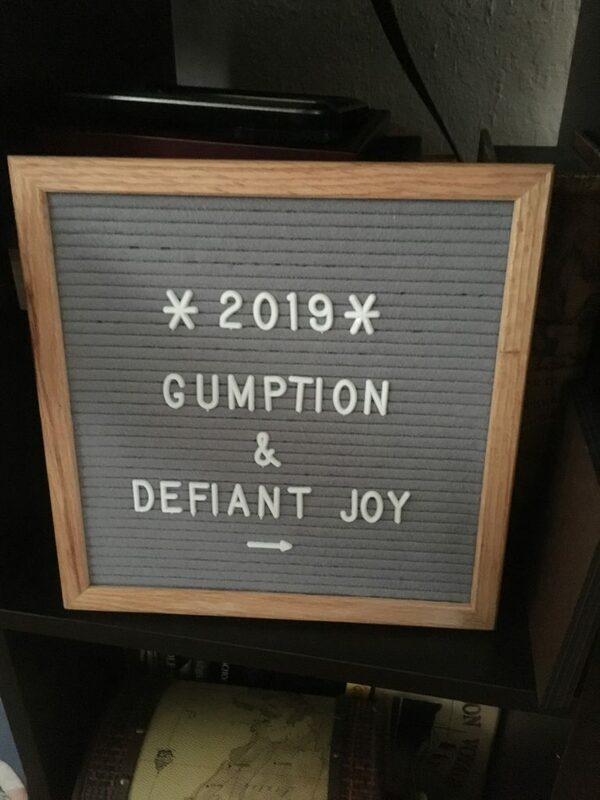 Gumption is defined as the ability to decide what is the best thing to do in a particular situation, and to do it with energy and determination. I loved the idea of doing something with energy, vigor, perseverance and determination. There is a light at the end of my doctoral school tunnel, but it will take gumption to get through it. Gumption means working with integrity, doing what is right, and doing it whether you get recognition or praise for your work or not. I want to be a lady with gumption. My apologies for being MIA on the blog. I was busy surviving a five month long cyclone. I survived hurricane season 2018! Both the literal hurricane season and the figurative one that defined my life last fall. 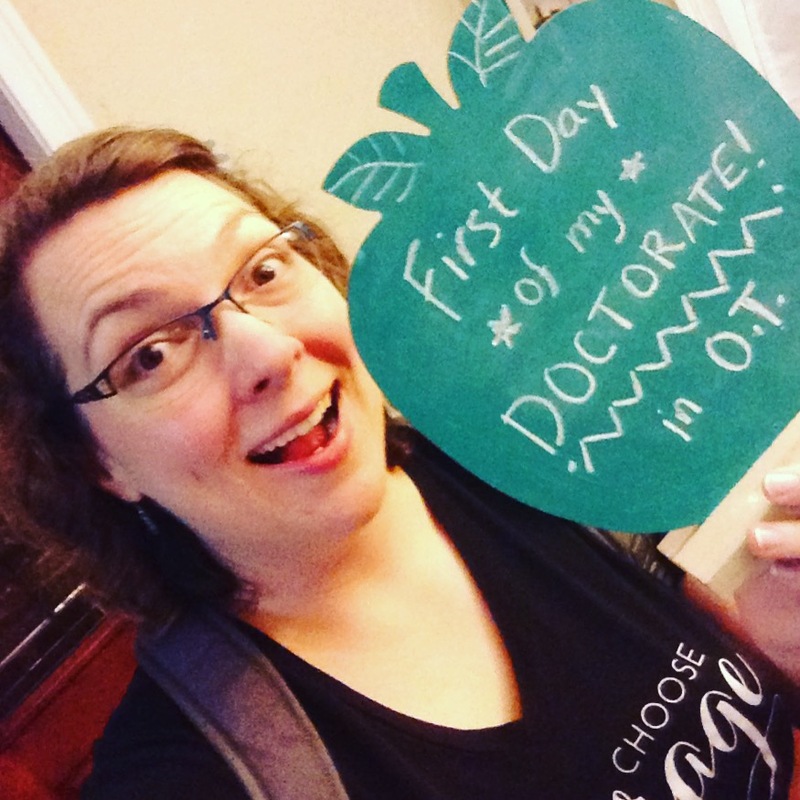 Between August and December 2018 I worked full time, pursued a doctorate degree, completed residency hours, studied for a certification exam, trained an intern…. oh yeah, and taught a class for graduate students! Even when I list out such things now, my shoulders hike up! When people would ask me how I was over the past six months, I would just respond what category of hurricane I was living through that day. I lived in Cat 3, but also hit Cat 5 a few times over the course of the semester. Every time I became overwhelmed by my tasks, I had to remember that I did this to myself. No one forced me to go back to school, or teach, or take on extra tasks or skills. I chose this life. I chose this hurricane… so let’s do it! Let’s face the wind with grit and grace. Let’s know when to hunker down for safety. Let’s know when to share my supplies and rations and when to seek help from my neighbors for a metaphorical downed tree. And , man, did I have lovely neighbors this semester. My students were encouraging, kind, motivated, and delightful. My intern kept me sane and did so much more to help me straddle professoring and therapying than she was required to. My friends checked on me regularly and reminded me often that my words of the year for 2018, Grit and Grace, were well chosen and would lead me through. My family celebrated every small victory and every step completed with me and reminded me that it was worth the struggle. I still think the hurricane analogy was apt because I spent a ton of time inside (weather wasn’t inviting), ate weird pre-packed foods (since I didn’t have time to cook! ), slept poorly (since I had too much to do), and needed a hearty clean up effort when the wind settled. But it was also such an encouraging “storm.” I was stretched and challenged. I was windblown, yes, but also thrilled! 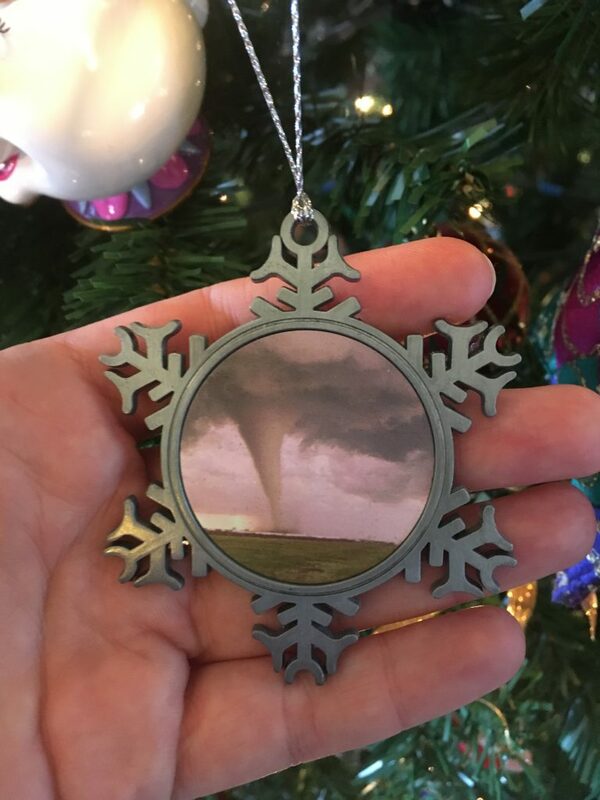 I even chose a hurricane as my ornament to summarize 2018. Now my tree is complete! I was reminded of how much I’ve aged this week. 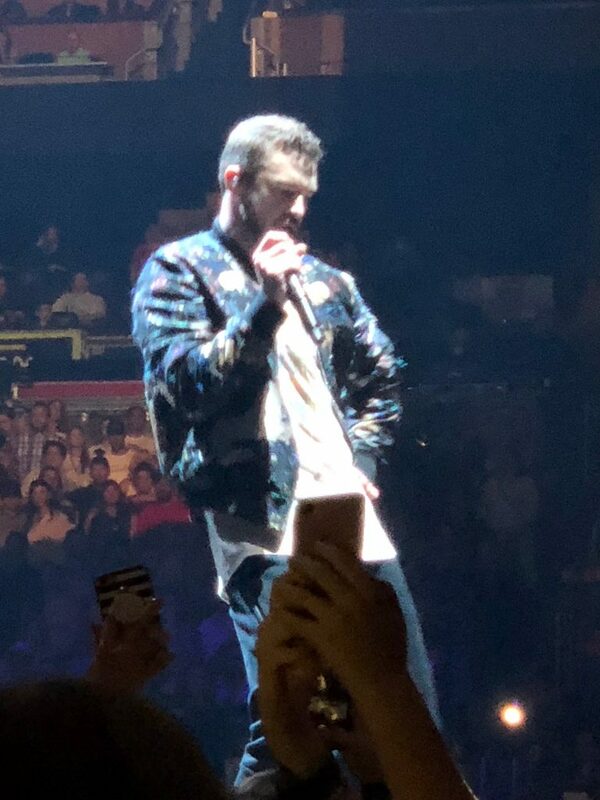 I attended a Justin Timberlake concert with my high school buddies. This group of girls were gaga for *Nsync back in the day. We each had a favorite guy in the group and knew all the songs and statistics about our singing beaus. 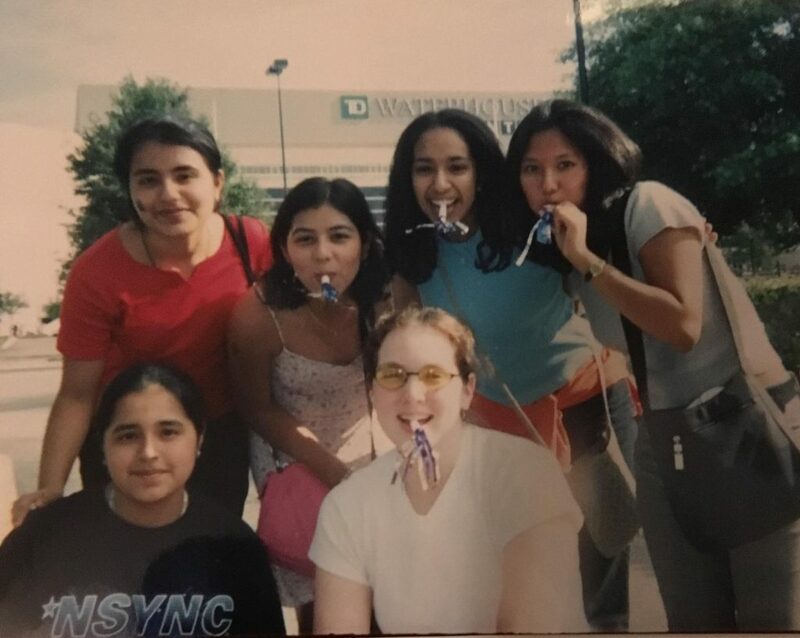 Our high school career culminated with a trip to see *Nsync live in concert in the magical land of Orlando. We saved money, chose outfits, and begged our parents for a lift to Orlando to sing the night away. We were beyond excited. We cranked up the tunes and sang all the way there and back. We brought our own noise makers, dressed the part, and cheered incessantly. It was as if we’d been in training for this moment for months. These were the girls who rode the tides of high school and college alongside me. We have been friends for the majority of our lives now! 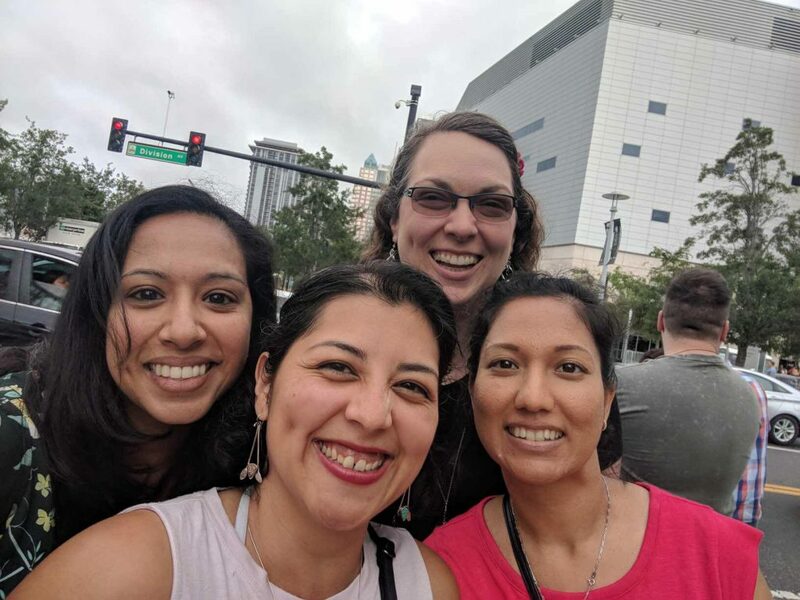 So when we learned that Justin Timberlake was coming to Orlando on tour nearly twenty years after our original experience, we HAD to go. But my, how we’ve aged! This time the preparation for the concert was a bit different. Two of us stopped to buy ear plugs. Two others made plans for toddlers for the evening. When we got in the car together (sitting in between carseats), instead of a boy band, a CD of nursery rhymes pumped through the speakers. All of us calculated how much sleep we were giving up by staying out past our bed times. Oh my, how we’ve aged. At this concert, we watched as the young ones shimmied and danced, while we sat in our seats, still very much enjoying the show, just less rowdy than the last time! But the point wasn’t the concert. It wasn’t how close we got to Justin or whether he sang our favorite songs or not. This concert was more about celebrating us. We have kept up our friendship the decades and still remain friends and companions in this wild ride of life. Life is a journey. I reminded myself as I felt old this week that wrinkles, fatigue, and aging are not the enemy. I am proud to give up sleep and spend my time with these fine ladies. Plus, JT puts on a mighty fine concert! When I started seminary in 2007, my professor shocked me. He started the first day of the first class with this warning: “Some of you will not get an A in this class, and that will be a sin because it will mean that you didn’t take the class material seriously or work heartily as for the Lord. For those of you who will fall into this category, be warned.” I am an excellent straight-A student and I scoffed at this warning. This would not be my lot. I would almost always choose school and neglect worship, personal quiet times, community, service, or caring for others. I value my studiousness and it outranked so everything else for much of my life. 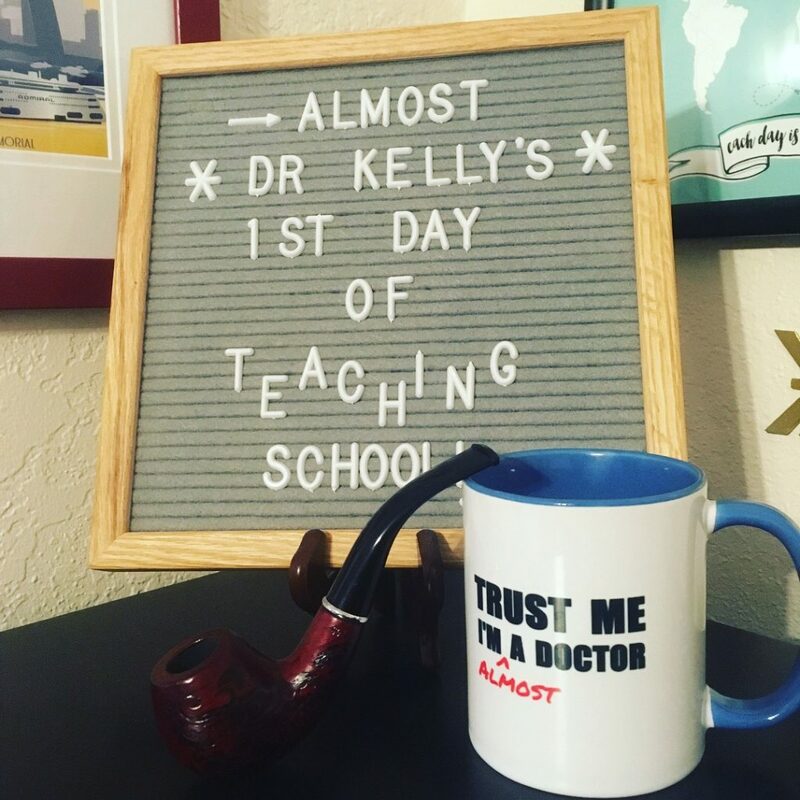 But since I am an eternal graduate student (going on year eight…), I am hoping to change my priorities and sometimes I practice worshipful mediocrity. This does not mean that I worship the Lord in a mediocre fashion! That would not be holy, honoring, or appropriately awe-inducing. He is worthy of all my worship. Rather, I perform other tasks with a level of mediocrity to allow space for worship. I practiced this new balance this week as I turned in an assignment for class. It was good, but not my best. I estimate I will get a B+ on this assignment. I could have easily put more research into it. Found three more sources. Re-read my paper and honed a few sentences. And basically spent two more hours on this assignment to change my B+ to an A+. But I made the decision that I could spend these two hours differently. I could talk to my roommate, go for a walk, read scripture, pray, prepare for Sunday School, or just rest and remind myself that the world does not depend on my efforts continually. I also could have “saved” two hours from my school assignment just to squander them with mindless phone scrolling or frustration when I received my grade. The mediocre work wasn’t the win, what I did with my newly found time was what made it worshipful. My time and energy are finite. It takes immense wisdom to choose the best yes for my limited resources. My professor’s first day speech has stuck with me more than a decade later. School is important. I want to complete it well, and still dedicate oodles and oodles of time toward it. But sometimes, mediocre work is the right choice. 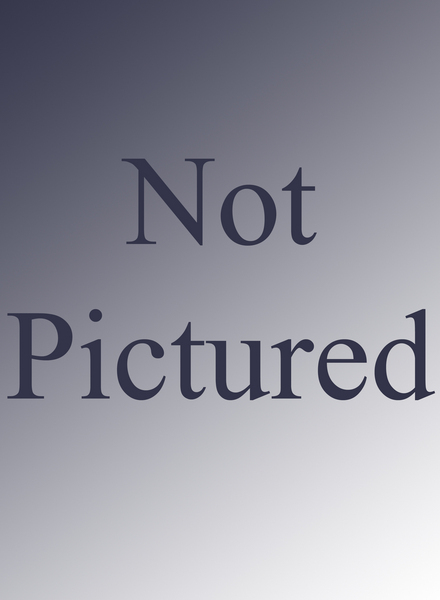 Intentional mediocrity reminds me that I am worthy no matter my grades and that I should spend my time and energy on the most important things, which isn’t always my discussion board post! Where do you choose mediocrity and what do you put your energy toward instead? I have been for decades. I chronicled the triumphs and pitfalls of our family vacations as a teen. I am verbose and never have trouble meeting my word counts for assignments. Words are my friends and a large part of my story. Because I am a writer. I truly do think best on paper. I must have an outlet for my thoughts, ponderings, curiosity, and insights. 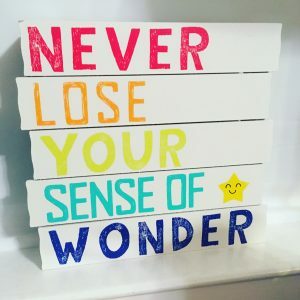 Some of the best advice I ever received came from one of my favorite authors, Leigh McLeroy, who commiserated on the difficulty in writing and publishing, and the fact that those are two very different capacities. She said, “Writers write. Publishers publish. 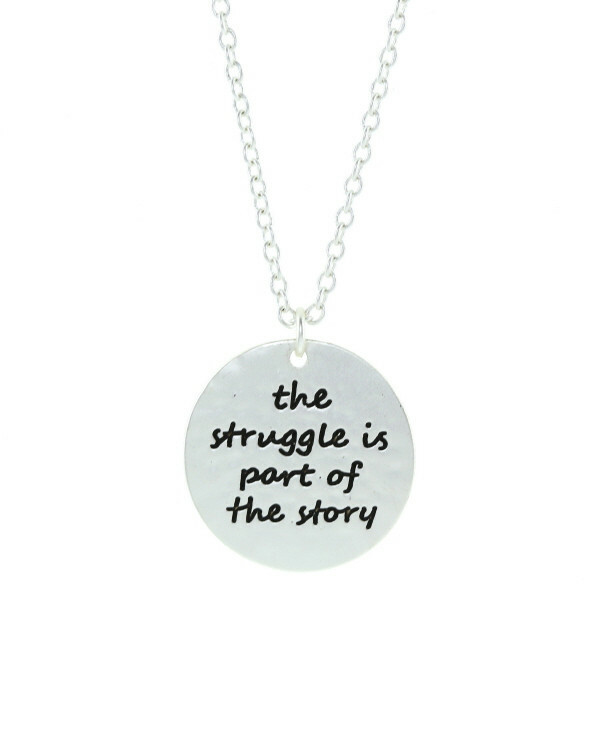 Don’t confuse the two.” So I write, honestly, faithfully, and frequently, and left the publishing dream for later. But I have always longed to be published! To share my thoughts with others on a larger scale. In fact, I made a bet with my dad twenty years ago to see who could get published first. I am happy to announce that I won the bet with my dad. I remember it well: a bearded man in robes stuck on the flannel board next to a rotund, jovial-looking whale. Jonah. We’re dangerously familiar with it. But Jonah is far more than a fish tale. It is the story of a man, a servant of the Lord, called to go to his enemies. 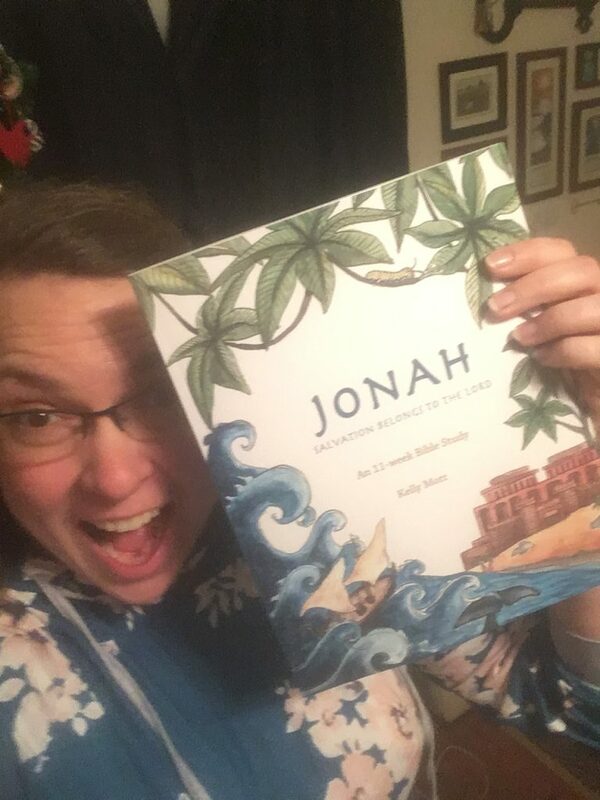 Jonah—though he is a prophet—is far from perfect, and it is perhaps more his failures than his successes that resonate with our everyday foibles and deep-rooted struggles. 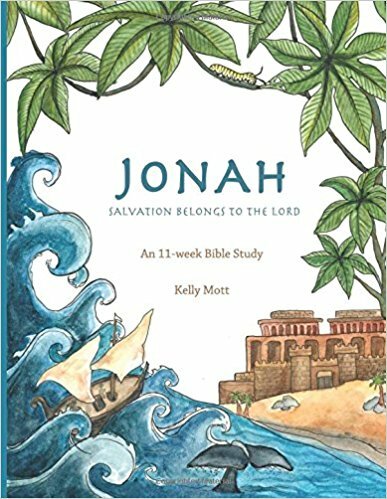 Although Jonah is the focus of our study, every book in the Bible is ultimately about God, His character, His glory, and His grand narrative that arches over all of our micro-narratives. We will trace this reality throughout Jonah in three major themes: God’s sovereignty, true obedience and repentance, and God’s love for the nations. Together we will seek to understand the God who works in and through imperfect people and to learn what it means to proclaim, “Salvation belongs to the Lord!” If you are looking to start the new year off right, consider doing this Bible study! Purchase at the link above, leave me a review, enjoy my foibles, and reinforce in your heart that Salvation Belongs to the Lord!